Several wireless routers made by Netgear contain a vulnerability that allows unauthenticated attackers to extract sensitive information from the devices, including their administrator passwords and wireless network keys. The vulnerability can be exploited over local area networks, as well as over the Internet if the devices are configured for remote administration and expose their Web interface externally. Details about the vulnerability were published on the Full Disclosure mailing list last week, along with a proof-of-concept exploit. Peter Adkins, the researcher who found the flaw, claims that he contacted Netgear but that his attempts to explain the nature of the issue to the company’s technical support department failed. The vulnerability is located in a service designed to interact with Netgear Genie, an application that allows users to monitor and control their routers from their smartphones or PCs. At first glance, sending requests to this SOAP (Simple Object Access Protocol) service requires an authenticated session. However, Adkins discovered that sending HTTP requests with a blank form and a “SOAPAction” header is enough to extract sensitive information from a vulnerable device. The information that can be extracted includes the administrator password; the name and access keys for the wireless networks configured on the device, and details about the device including its model, serial number and firmware version. Adkins confirmed that Netgear WNDR3700v4, WNDR3700v4, WNR2200 and WNR2500 devices are vulnerable. However, because of the flaw’s location, other devices, including WNDR3800, WNDRMAC, WPN824N and WNDR4700, might also be affected, he said. 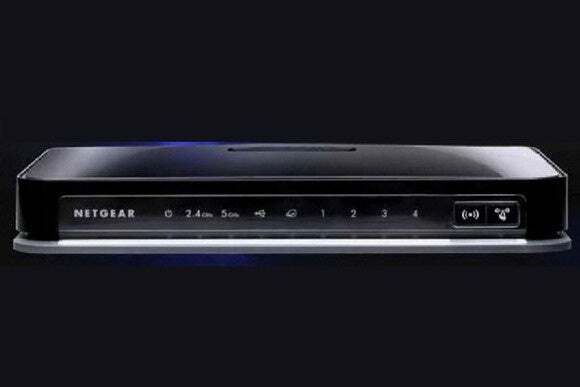 Netgear did not immediately respond to a request for comment. Routers configured for remote administration are obviously at greater risk since attackers can target them over the Internet. However, LAN-based attacks are not hard to execute either. Attackers could potentially exploit the vulnerability after infecting a computer on the local network with malware. They could also use cross-site request forgery (CSRF) techniques that involve tricking users into visiting a site that forces their browsers to forward a malicious request to their routers over their local networks. Guest wireless networks also become a risk factor with this type of vulnerability. Adkins recommends disabling remote support and only allowing trusted devices on the local network. Wireless routers are an attractive target for attackers because they allow them to manipulate traffic for entire networks and provide them with a foothold in those networks that is not easily discovered. Several large scale attacks exploiting router vulnerabilities have been reported over the past two years.